Need Help With How Get Out Of Debt? Do you ever have people asking for something you wish you could give or giving you advice they wouldn’t take themselves? Debt help is available. 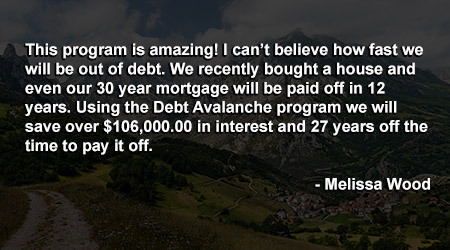 Debt Avalanche is the world’s most sophisticated online debt payoff tool. You don't need to live on beans and rice for the next 20 years to get debt free. There are many people out there promoting strategies for how to get out of debt. Most of those plans don't work and are only propagated by so-called "gurus" who have never been in your shoes. Ignore them. The stress they place on you could actually make your debt grow. Want to see how much you can save? Grab your most recent statements and click the link below. If you’ve already started paying down your debt, that’s the most important step. Next all you need is a plan that shows you how to more effectively and most efficiently keep doing it, month by month. All while living a way of life that allows you to relax and earn the money to become debt free without the stress of living on nothing left over. By creating a clean and intuitive system that you can use to feed in your latest statements, we will calculate the optimal way to repay them and give you a specific plan on how to reduce the time it takes to get out of debt as well as save thousands of dollars in interest. Each month simply input your statements and your plan will be re-optimized for the coming month. Need more help? Just ask one of our coaches and they can help with everything from negotiating interest rates or debt to how you can find extra money to get out of debt faster. By determining the optimal strategies month by month, you not only get out of debt faster than you could imagine, you also save thousands and thousands on needless interest payments. 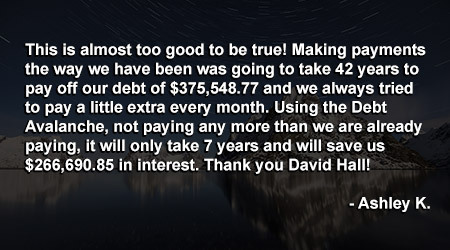 Join the people using Debt Avalanche that have already saved millions of dollars in interest and thousands of years off their time to get out of debt. 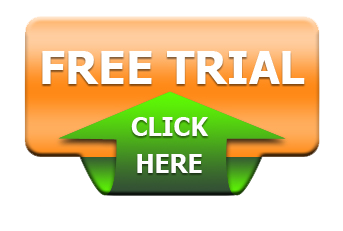 To show you how Debt Avalanche can secure your future, grab your most recent statements and try it out now free. Bob Nilson When could you send me the report ?